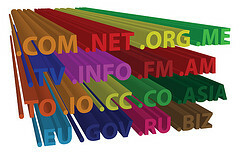 Buying and selling domain names is one of the most popular ways of making money online. 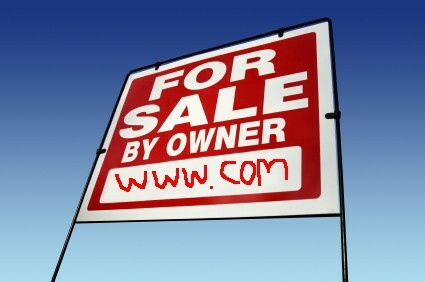 However, many domain investors struggle to find buyers for their domain names. The following are some of the mistakes that you need to avoid when marketing your domain to potential buyers. the value of the domain does not match the price. 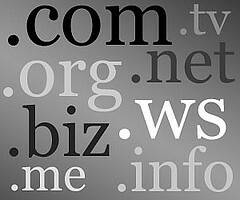 You know you need one but you don’t know exactly what domain name you should get. Well let me save you some time by telling you right now what you should do. Unless you are actually the creator of a product or you own a physical store don’t spend 1 second on thinking of a creative domain name. Have You Hit A Brick Wall In Your Online Business? Today I am going to talk to you about something that has been bothering me for awhile.Â At this point in time it is no secret that you absolutely need a blog if you want to make money online regardless of the niche you are in. But it is like you have to twist peoples arm to get them to realize this. You need to already have a healthy marketing budget if you want to make money online without a blog. For the rest of us a blog is absolutely needed. This is especially true in Network Marketing, blogs are with out a doubt the single most important tool you can have for your business.Â It doesn’t even matter where you are at in your business a blog can absolutely increase your sign up rate and also help you earn more commissions on other affiliate products. Tip: Did you know that blogs get indexed faster than regular websites! Successful blogging isn’t about you just coming up with your own content, it is also about you finding content that your readers want to read.Â There are many sources online that make it easy to find content to add to your blog.Â Here are some great places to find content. That is just to name a few places where you can find supplemental content for your blog.Â Don’t just take my word for it. Just look around the internet and you will start to see what I mean. Most blogging software gives stats about how many people visited your blog, your top posts, referring sites, and search terms. Use stats to learn what to write. If you haven’t done so yet, start blogging I would love to read your blog and so would thousands of other people. Many people would have you believe that making a ton of money in network marketing is simply a matter ofÂ getting a few people who will get a few people and so on…Â While there are many hundreds of success stories of network marketers making good money in the mlm industry. There are thousands of people who failed. It is not because it is impossible to create success in a multi-level business, rather it is because people expect unrealistic goals. The way to get your business to actually grow is to spend your time with each person that comes into your business and make sure each person understands what they have to do to become successful.Â The fact of the matter is only 10% of 10% of the people you bring into your business will put the effort in required to be successful. – Systems are used to get leads , systems cost money to use. It doesn’t matter “who’s” system you use really. – It cost money to advertise your business. It really does, the main reason is because you don’t actually own the system. You are simply plugging into someone else’s domain and virtual realestate. What that means to you is that you will never be able to leverage search engine traffic in your business. So it will always cost you money to advertise. While it is true that you can use Traffic Exchanges and Safelist for free it is a total waste of time. I personally know people who have spent a minimum of 30 hours a week clicking away for credits and have dismal results at best and this is keeping at it for 8 months straight. It doesn’t mean that using these same places is a bad idea, you can find a lot of prospects using those methods, but if you want to do it this century you are going to have to spend money. This was my entry into this industry… I paid for advertising using Ezine Ads, safelist marketing,PPC, banner advertising. 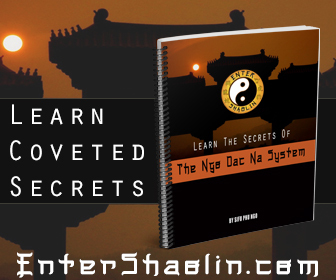 It works but it can be expensive until you figure out all the in’s and out’s.. And I was having success using systems.. One thing was lacking though. Although I could basically save a ton of time by placing my ads, I still wasn’t finding quality people to join me. The reason I believe is because I wasn’t branding myself as an expert.. I simply was copy/pasting ad copy,Â sending Copy/paste welcome letters, and hoping that somehow the company would take care of the rest. YA RIGHT! – Trust me when I tell you, unless you can convey to the people that join your business that you know what you are talking about, your downline will more than likely do nothing, complain and leave. These people will do this over and over again.. Joining one company, not really doing anything, gripe a bit and move on. I have been on a blogging kick lately.Â That’s because although my blog readership is only 1200 people that is still 1200 lols…Â Blogging certainly helps you brand you. I have found “in general” the quality of person has gotten higher. 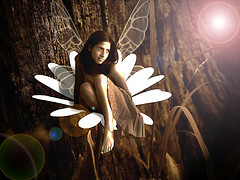 I use to deal with a lot more unrealistic people before I starting blogging. If I had start over again, and I would set up a blog and learn all I could about blogging before deciding on business model. 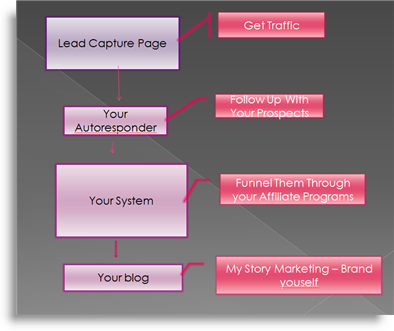 First – use a lead capture system for paid advertising. Second – use a blog to brand you to all of the prospects you get. If you do this constantly you will have success online! 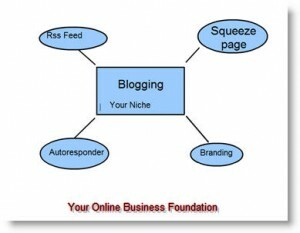 Blogging is really the key to unlocking success in this industry. I am always looking for new people to network with I spend a lot of money and time learning “how” to blog online.Â Instead of charging some outrageous sum of money for coaching, I decided to ask people to join me in Global NPN. If you come in as a director (That cost $40 a month) you will be able to set up a self – hosted blogÂ and also have access to an autoresponder system and lead capture system. Basically you would be getting all the tools you need to market any business online. Most of all though you will have me personally in your upline and my only goal is to help you learn how to internet marketing and network market. The New Plan Network has a sweet MLM compensation plan it is a nice added stream of income or primary business depending on your situation. Personally – I like the network marketing comp plans, they really do allow you to earn residual income that can grow. The problem is 95% of the Multi-level products online are crap. Either they are big like amway – mary kay -Â monavie etc… From listening to other people and just seeing what is going around these type of programs stink for true “Internet Network Marketing” While you can use the internet to help brand you and perhapes build your business the companies themselves make it very hard for you to actually market their programs.. Those types of programs in my opinion are best marketing off – line. To me internet network marketing is about: Is more about affiliate marketing.Â I have found that there is a huge market for newbies, all these newbies need to use the same tools everyone else does in order to be successful. So instead of focusing my marketing efforts on trying to say my product is better than your product, I market the fact that everyone needs to use things like hosting, autoresponders, domain names, lead capture pages, blogs, there is no getting around it.Â Seriously all the successful people online use this stuff.Â As luck would have it, most of this stuff have affiliate programs attached to it. I realized that a good percentage of people that are looking to make money online don’t really care what they are selling as long as it is legal and think its going to work. Now my point is this, all of the programs I just mentioned above are totally different in content, yet the same type of person joined all of them…. 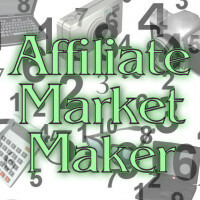 It is this person, —The majority of people trying to make money online I am marketing too. The reason is because regardless of what particular “business”Â you want to be involved with , ” The same steps must be taken”. Out of everything I have done regardling MLM on the internet I have found Global NPN to be the best place for a newbie to start their marketing journey.Â It is generic enough and offers a good suite of tools at affordable rates that make it very easy to market and get into profits. Finally – You can either spend a kings ransom to learn how to market, where to market and everything in between, or you can look for people who are able to guide you in the right direction. This is priceless when you find someone who cares and is good at what they do.Â For the record, there was a time when I didn’t know anything at all. I remember on one incident I spent $5000 to learn some marketing skills. Can you imagine how horrified I was to learn that 99% of everything they taught me I could have learned for free simply by looking… Do you self a favor, if you are truly serious about making money in the internet network marketing industry , seek out someone who is already doing it and duplicate their actions… That is network marketing at its best! There are systems today that claim it will be easy to make money in network marketing if you just do XYZ.Â Wise marketers have learned that you can make more money faster by not worrying about what network marketing business they belong to and focus on the affiliate products that surround the niche.Â To unlock the door to a small fortune requires some prep work. There seems to be a system for everything and that is true for network marketing.Â While using a good system of marketing will go a long way in building your business it really is a small piece of a much bigger puzzle. What usually isn’t told to you in most Network Marketing systems is that it is only one little part of the equation, see systems gets a person in the door, but it is up to you to figure out how to close that person into your business. It is my humble opinion that systems that do not have specific programs locked into them are a waste of time and money, but before you start thinking I am just trash talking consider this. There are systems online right now that for a small fee will allow you to plug what ever programs you want inside.Â In theory this is a great idea but in application using these types of systems it will be very hard to build your network marketing business.Â People that use these systems can generate income from them , but not likely to build their network marketing business. Think about it, why would someone join your business if they can just plug theirs in instead?Â If you want to see your internet network marketing business grow, it is going to require extra work on your part aside from using a “system”. We know at the heart of selling is relationship building, this is true offline and online.Â Just because you got someone in your autoresponder does not mean they are in yours alone. There are thousands of other reps online competing for the same person. In order to stand ahead of the crowd you are going to have show your subscriber that you have something more to offer them in terms of customer service. While I will be the first to say systems are great, without having a foundation to build on using any system won’t much matter. If you are serious about doing business online you will have to invest in hosting and an autoresponder system. Without these two tools you don’t have a business. Luckily both of these tools usually have good affiliate programs attached to them –>Meaning you can get paid! Simple Internet Network Marketing Flow Chart! It really is as easy as that chart says it is. More often than not we complicate matters for ourselves.Â Add your personality to the equation and you will have a successful business.Â Like every thing in life the more you learn the better your results will be.